The action of moving water works to separate sediments by size. 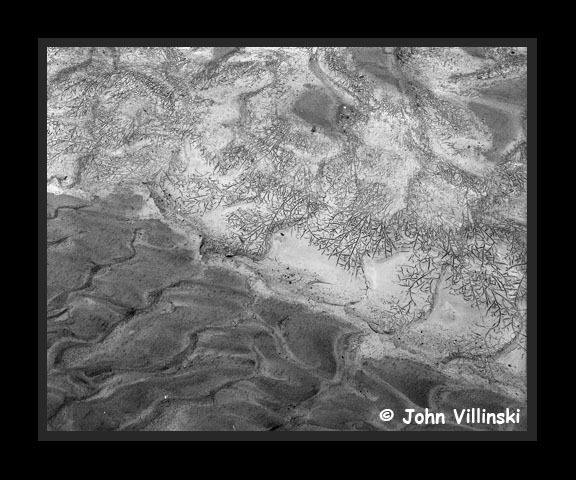 The lower haf of this image shows the heavier sand particles while the upper half is clay particles. This clay layer shows the chaotic cracking pattern as it dries.